The BJP turned the tables on Odisha Chief Minsiter Naveen Patnaik when he quizzed them on their chief ministerial candidate for Odisha- to which the party replied, "Somone who speaks Odia will be our choice". 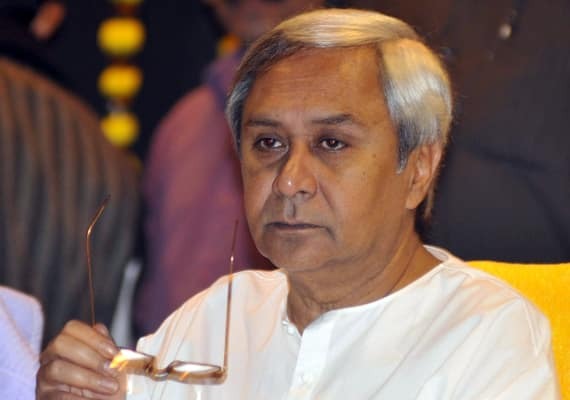 New Delhi: In an apparent dig at the BJP, Odisha Chief Minister and BJD president Naveen Patnaik had recently asked the party to name its chief ministerial candidate for the state. “The people of Odisha want to know who is the BJP’s chief ministerial candidate, from where s/he is contesting the elections,” Patnaik said, addressing an election meeting at Daspalla under Kandhamal Lok Sabha constituency, which is going to polls in the second phase on April 18. According to reports, to Naveen Patnaik’s query as to who was the BJP’s chief ministerial candidate was, BJP leaders remarked ‘an Odia-speaking person would be the next Odisha chief minister’. Recently, BJP national president Amit Shah had mocked Patnaik for his lack of command over the Odia language, the mother tongue of the state, at a rally. “Can Naveen babu speak Odia even after 19 years of governing the state? Choose a chief minister who can speak and understand your language and feelings,” he had said. Patnaik, alleging that the BJP was afraid of announcing the name of its leader in Odisha, also took a jibe at the saffron party’s “double engine” slogan. Patnaik was referring to BJP leaders’ frequent call to the people of Odisha to ensure a “double engine” government (the government in Odisha as well as in Delhi) for better development of the state. “That Delhi engine did not come to the state when people were encountering calamities like cyclone and floods. Though the Delhi engine came after calamities, it went to Andhra Pradesh and not to Odisha,” the chief minister said. “This Delhi engine will leave the state after the elections. Where is BJP’s Odisha engine?” he asked. “The four and half crore of people in Odisha are my family, and I will serve them till the last breath,” Patnaik added. “You (the people of Aska) are going to create history by electing a WSHG member to the Lok Sabha and send four women to the state assembly,” Patnaik said. Alleging that both the opposition BJP and the Congress have fielded “criminal elements” as candidates in Ganjam district, the chief minister said he will not allow the breach of peace in the region. The second phase of polling will be held on April 18 in Bargarh, Sundargarh, Bolangir, Kandhamal and Aska Lok Sabha segments, along with 35 assembly constituencies under their jurisdictions. The Lok Sabha and Assembly polls are being held simultaneously in four phases in Odisha.